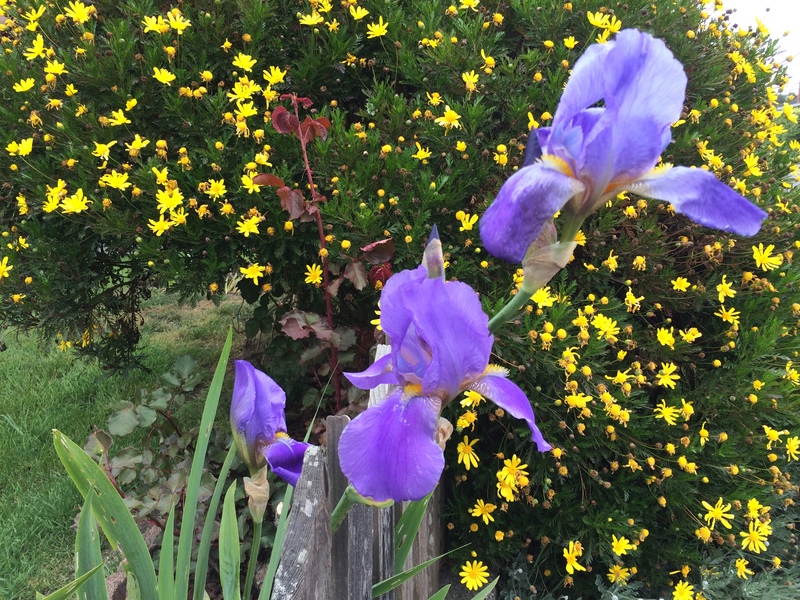 Though I’ve claimed, in earlier posts, that the weather on the North Coast never changes, it seems that it must, as the blooming evidence of spring has surrounded me these past few weeks. 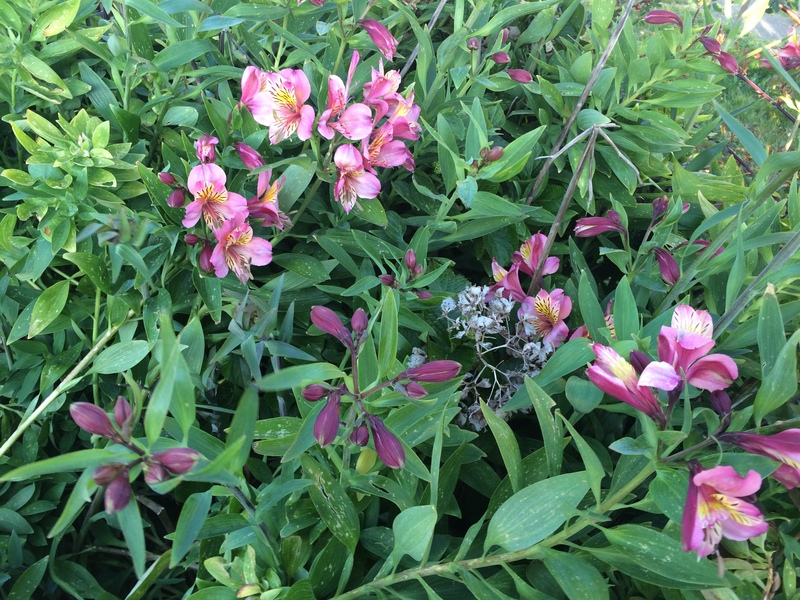 I don’t know many names of these flowers, though some – like alstroemeria – appear in the wild as if they are weeds, so much more stunning than in grocery-store bouquets that fail to capture their magic. So much prettier than the $5.99 bouquets give them credit for. 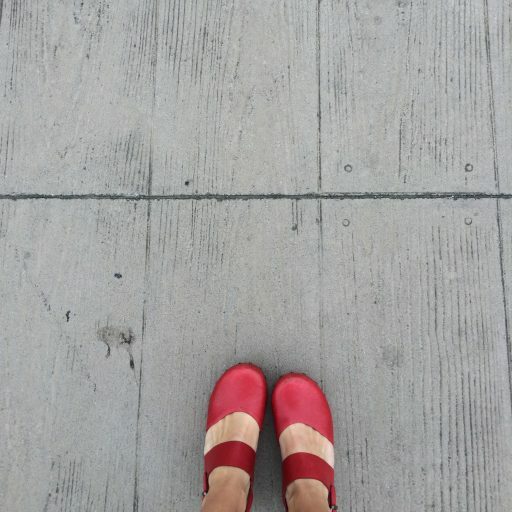 Walking outside, now, is marvelous, a visual assault of color and shape. 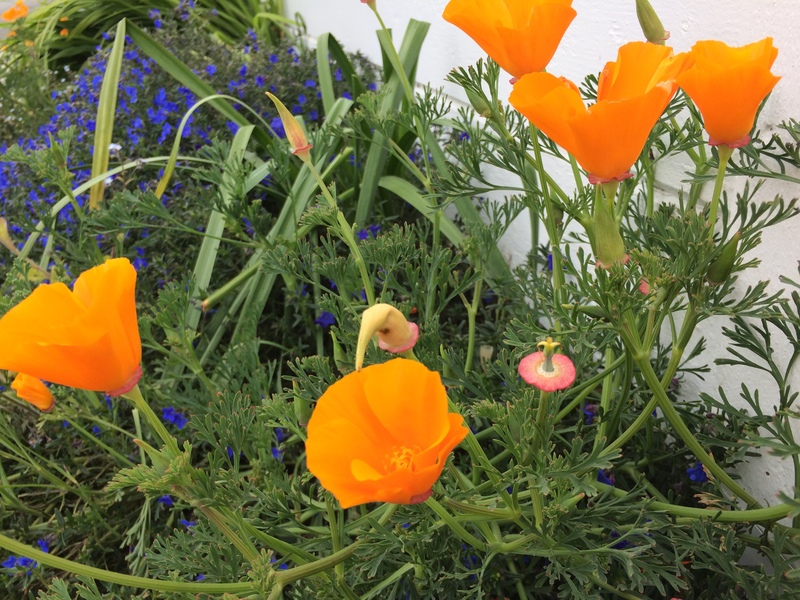 I find myself on a never-ending scavenger hunt, seeking out the sensuous curve of a calla lily or the intricate unfolding of poppies, delighting in both when they cross my path. 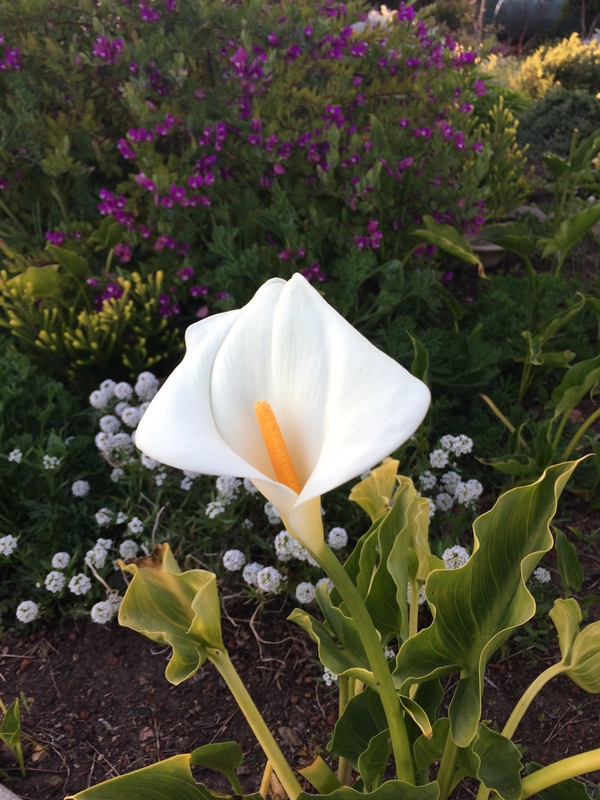 I thought calla lilies were rare, until I moved here, where they pop up endlessly. There are manicured gardens, of course, dotting the neighbors’ homes here and there. Yet what I most enjoy are the flowers that cannot be tamed. 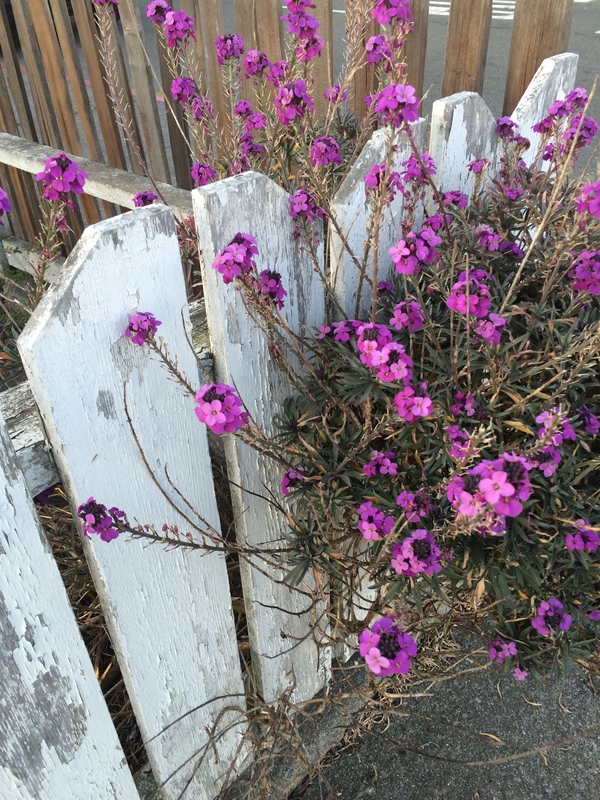 In particular, there is a trend, here, of flowers battling against the confines of fences. They peek their heads out in between wooden slats or the crisscross of metal, craning towards the sky and defying control. Today is a lovely spring day on the Northern California coast. Though technology does not yet allow me to encourage you to stop and smell the roses here, I hope you’ll enjoy a few moments with these colorful blooms from my town. 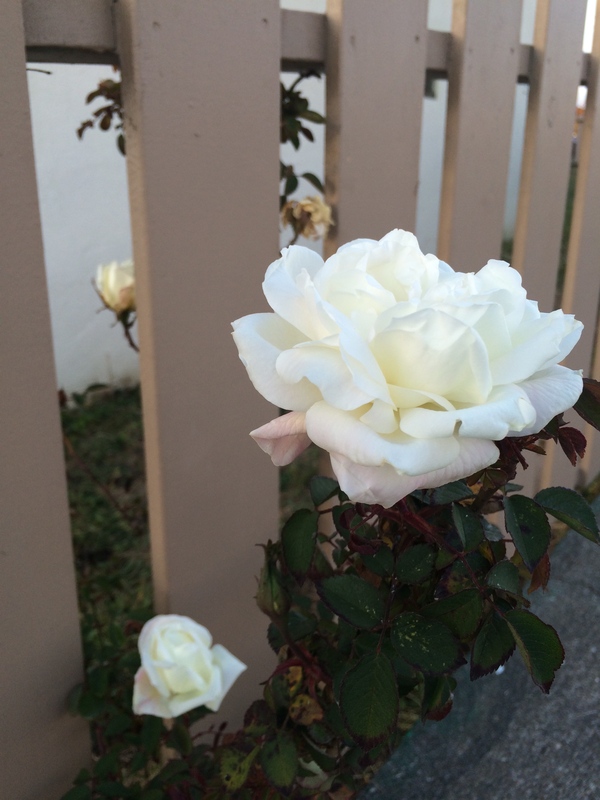 What wild beauty crosses your path on a daily basis? Happy Friday! This entry was posted in Beauty. Tagged alstroemeria, California, calla lily, flowers, irises, north coast, Northern California, roses. Previous Post Previous post: Let’s hear it for the moms!